Morale is so low in Afghanistan’s armed forces that its soldiers — once expected to be a bulwark against the Taliban — have been stealing from and brutalizing US-paid local contractors. The total value of property stolen has exceeded $780,000, and contractors have been held at gunpoint, beaten, “locked in containers for extended hours,” and had their heads shaved, according to the March 2019 report of SIGAR, or the Special Inspector General for Afghanistan Reconstruction. The report reviewed three US Army Corps of Engineers contracts worth about $1.1 billion. While no weapons or sensitive materials were reported to be among the equipment stolen (which ranged from tools to office supplies), almost 300 serious incident reports were filed between 2011 and 2013 alone, the SIGAR report noted. “No comprehensive mechanism for formal Coalition assistance evolved to address abuse and confiscation of property,” a representative of Exelis, one of the companies that carries out operation and maintenance contracts funded by the US, told the watchdog. 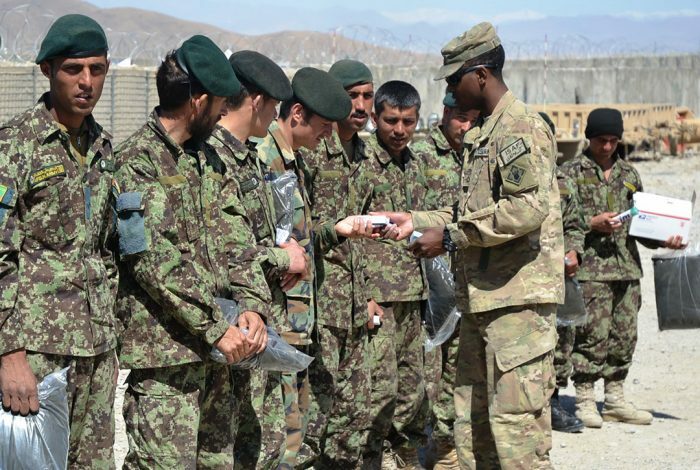 The report documents the latest in a series of fiascos involving US military aid to Afghanistan and illustrates concerns over the capabilities of Afghanistan’s army which have clouded hopes for a quick end to what is now America’s longest war. Three US soldiers and a contractor lost their lives in a Taliban attack on Monday.